Offering you a complete choice of products which include wedge inserting machine, automatic lacing machine, single lacing machine, inserting machine, automatic coil winding machines for electrical industry and motor stator coil forming machines for automobile industry. Ours is an illustrious organization that is engaged in trading and supplying high quality Wedge Inserting Machine. These products have easy and quick to change tool according stack height of stator. Furthermore, we offer these products to customers on various specifications at nominal rates. 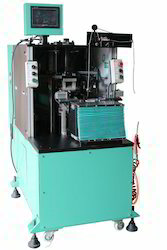 We are dedicatedly engaged in trading and supplying an extensive range of Automatic Lacing Machine. Our offered range has servo transposition mechanism enabling controls form monitor. Besides, the microprocessor in this machine ensures it to suitable for different kind of lacing function. We have gained expertise in trading and supplying quality-approved Single Lacing Machine. The machine we offer is equipped with a microprocessor that helps in different kind of lacing function. In addition to this, it has servo transposition mechanism enabling controls form monitor. This is the latest technological machine to have Servo Transposition mechanism enabling controls form Monitor. From Monitor you have facility to select the number of slot the stator have. The same machine can be used for 16 slot, 24 slot, 32 slot, 36 slots stators with no need to adjust the mechanical settings. Slot selection can be done directly from monitor. Special type of thread tensioner ensures no repeated tightening of the thread. High lacing speed (up to 220 stitches/min). We are a paramount organization that is engaged in trading and supplying superior quality Inserting Machine. The machines we offer are manufactured using high quality components and spare parts following industry set guidelines. Our range has easy and quick to change tool according stack height of stator. From past many years, we are engaged in offering excellent range of Automatic Coil Winding Machines for Electrical Industry to our cleints. Moreover, clients can get the offered assortment from us at market leading prices. 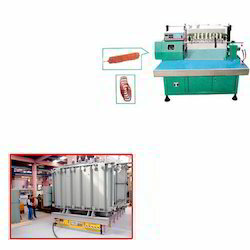 Aimed at prosper growth in our domain, we are engaged in offering a wide assortment of Motor Stator Coil Forming Machines for Automobile Industry. Unmatched in quality and performance, it is highly credited among our clients. We are a well-known organization that is engaged in trading and supplying high quality Coil Forming Machine. 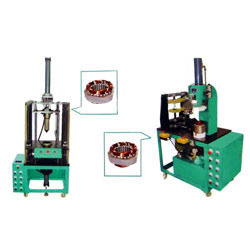 These machines are suitable for forming up the small to medium size stator coil. Latest machinery and advanced technology are employed in the manufacturing process. The machine is suitable for forming up the small to medium size stator coil. Using upper,lower and center axis molds,this machine can not only rearrange the outlook of the coil ,but also fit the sizing rearrangement,especially suitable for the difficult rearrangement of 2 pole stator. The stator be put on the left side of the roller to form up inner side of coil, then put the stator on the right side of forming die to form up height, inner and outer side of the coil finally to ensure the end product to meet the required specification. We are a prominent organization that is engaged in trading and supplying finest quality Automatic Coil Winding Machines. 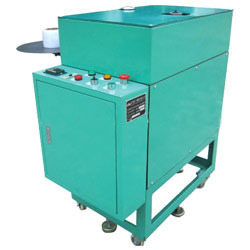 Our offered machines are suitable for minimum winding twenty four pieces of coils simultaneously. In addition to this, our range is equipped with the programmable RISC-microcontroller. Our domain expertise has enabled us to come up with an excellent collection of Automatic Lacing Machines. 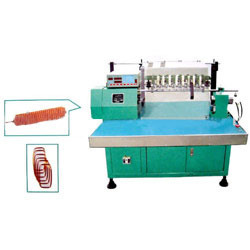 Available in various specifications, these machines are suitable for different kind of lacing functions. All these machines are extensively used in small stator of fan to big stator of air-conditioner. Microprocessor in this machine ensure it to suitable for different kind of lacing function. The tension device to adjust the lacing tension is also equipped.laced coil in the shape of tortoise shell increases the lacing efficiency. Wide range application,from small stator of fan to big stator of air-conditioner.Neat and uniform binder coil stabilized quality output and increased product value. 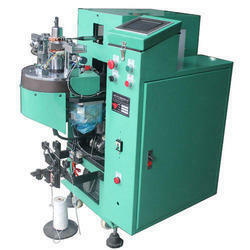 We are an eminent organization that is engaged in trading and supplying optimum quality Motor Cell Inserting Machines. 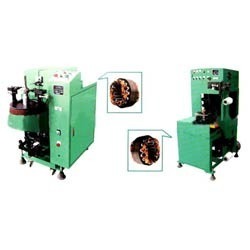 Our machines are widely used for slot cell paper insertion of medium and small size stators. 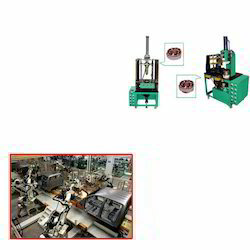 The working is done by the machine automatically except to put on and take off stator. 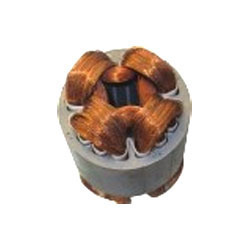 We are a renowned organization that is engaged in trading and supplying high quality Electrical Stators. The range offered by us is sourced from most trusted and reliable vendors of the market. All these products are used in different kinds of motors as per the requirements of our esteemed customers. 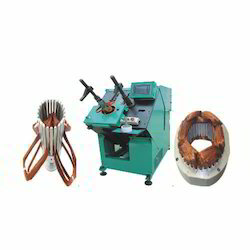 We are a preeminent organization that is engaged in trading and supplying excellent quality Electrical Stator. 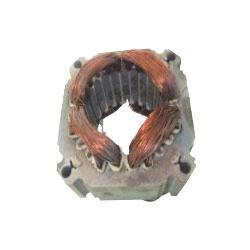 These stators are manufactured at our vendors’ state-of-the-art infrastructure facility using high quality components and spare parts. Furthermore, we make sure that the consignments are timely delivered at clients’ destinations. 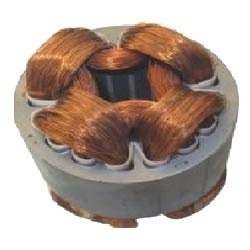 We are a coveted organization that is engaged in trading and supplying superior quality Electrical Stator. These products are extensively used in fans, air-conditioner and electrical household appliances especially motors. To cater to the diverse requirements of customers, we offer these products in various specifications. Looking for AUTOMATIC WINDING MACHINES FOR MOTOR MAKING ?